As a contrast to last week's carcolor composition, I am showing you here a very colorful example of red, blue and white carcolor circles. The composition resembles Carcolor 23 and was indeed taken at the same car dealer in Geneva. 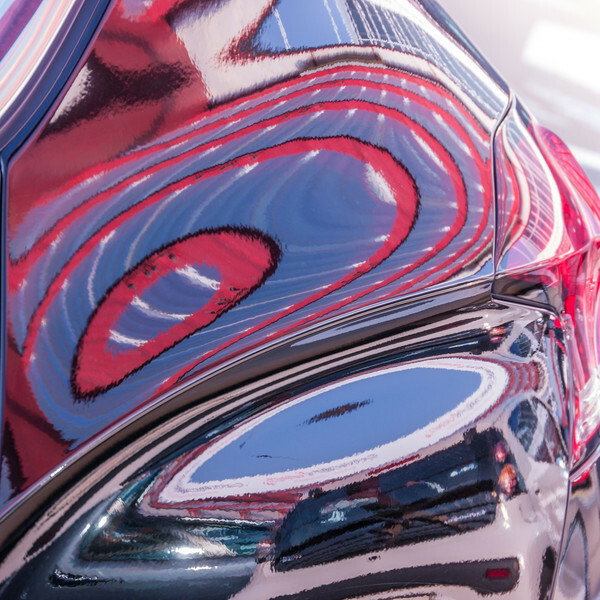 It has a fancy roof with red metal beams that are reflected and distorted in this car body. In the photograph above I quite like the two circles (they are rather ellipses than circles, actually) that face each other as if they were each others mirror image. Even more carcolors are exhibited in my carcolors gallery and in all the earlier carcolor posts.